What Is a Public Switched Telephone Network? The Public Switched Telephone Network (PSTN) is used for the landline telephone system. Another term commonly used for it is POTS, which stands for Plain Old Telephone System, a non-geek way of naming the landline phone system that is being rapidly replaced by newer digital and mobile providers. PSTN was created primarily for analog voice communication over cables that covered countries and continents and was an improvement over the basic telephone system of Alexander Graham Bell. It brought to the system better management and took it to the level of being a lucrative and revolutionary industry. PSTN is now often referred to in the media in contrast with other emerging communication technologies. Mobile telephony has emerged as the first alternative to PSTN when it comes to voice communication. Cellular communication allowed people to communicate on the go, while the PSTN allowed people to make and receive calls only within reach of the wires at home or in the office. For a while, the PSTN held its place in modern telephony because it was the leader in call quality and because homes and businesses preferred landlines for several reasons. Until relatively recently, most people had not adopted mobile telephony and could only be reached through their landline phone number. Also, the PSTN is the main carrier for internet connectivity in some parts of the world. Using alternative means of communication like VoIP and other OTT technologies often required a PSTN line for internet connectivity, although that has all changed. Most people carry cell phones or smartphones now, and internet access is no longer analog in most areas. VoIP was a serious competitor to PSTN because it allowed people to communicate locally and worldwide for free or at a low cost. Think of Skype, WhatsApp, and the other VoIP services and apps, some of which were banned in some countries to protect the local or government-owned telephone companies. 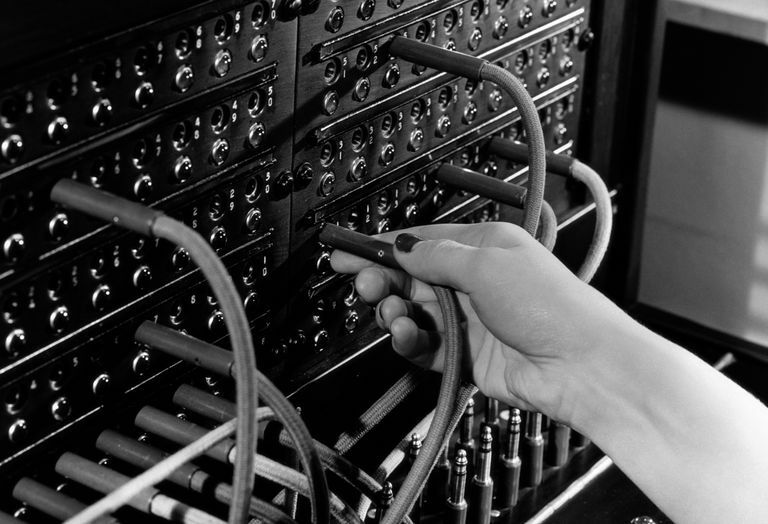 In the early days of telephony, establishing a voice communication line between two parties required stretching wires between them. Longer distances meant higher costs. The PSTN came to level the cost despite the distance. The PSTN consists of switches at centralized points on the networks. These switches act as nodes for communication between two points on the network. This way, one person can talk to another on the other side of the countrywide network by being on the end of a circuit that consists of a number of switches between them. This circuit is dedicated to the two corresponding parties throughout the length of the call. This type of switching is called circuit switching. IP networks like the internet brought about packet switching, which uses the same underlying network but without reserving any portion of the line. The voice and data messages are split into small parcels called packets, which are disseminated through the switches independent of each other and reassembled on the other end. This resulted in free voice communications on the internet through VoIP.